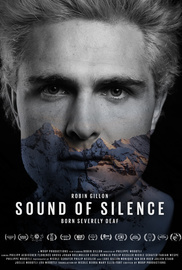 A young man born severely deaf faced exclusion from society from his early days on. He was bullied by his peers, branded a fool by his teachers, and locked away in a basement at his first job at a bank—but Robin Gillon found his way through, all thanks to skiing. Best Short - Winter Film Festival 2018. Best Storytelling - iF3 2018. Winner - Cult Critic Movie Awards 2018. Finalist - CICFF 2018. Bronze Award - SV 2018. Official Selection 2019: Premio Leggimontagna Cortomontagna. Official Selections 2018: Kendal Mountain Film Festival, Snowvision Film Festival, Milano Montagna Festival & Fuori Festival, Eho Mountain Film Festival, Ottawa Adventure Film Festival, High Five Festival, Champéry Film Festival.